Here are photos of some different accessories that have been made with the Chuck Taylor logo. Most of these items are no longer available. Bags. Balls. Eyeglasses. Pencil Cases. Wrist Watches. Click here to find out about currently available Converse All Star Chuck Taylor tote bags. 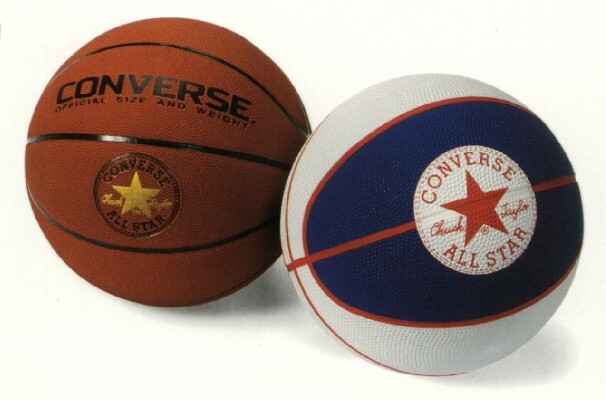 Tradeglobe Sports of Vancouver, British Columbia in Canada was licensed to make Converse All Star Chuck Taylor sports balls. Click on the thumbnail image below to see a couple of their basketball models. Fada Industries of Long Island City, New York, was licensed to manufacture Converse All Star Chuck Taylor watches. Converse watch on a white sock with a Chuck Taylor ankle patch logo. The REM Eyewear of Arleta, California is licensed to make Converse All Star glasses and frames. 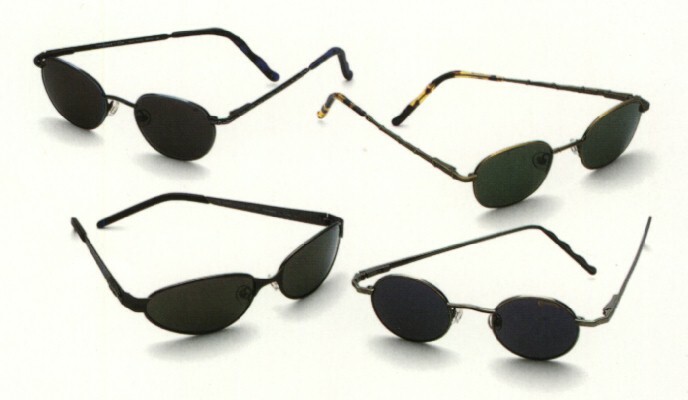 Click on the picture below to see some of their different models of sunglasses. Star Point, a Division of FAB (Fashion Accessory Bazaar) made a Converse All Star Chuck Taylor pencil case. The case had a zippered closure with an eye hook to attach to a ring or other device. The cases featured a lot of the detailing of the Chuck Taylor high top, including the logo patch, laces, eyelets, heel patch, sole pattern, and stitching. The pencil cases came in four different colors, red, white, blue, and black. These are no longer manufactured and are unavailable in stores or on this website.